I found my first trip to Rome to be a spiritual experience. I wasn’t expecting it, but as Dawn and I saw the beautiful sites and history, so much inspired by our Faith, and the Story of the Bible. To see Mary, Joseph and Jesus in paintings and sculptures in the Pantheon one of the oldest buildings in the world, speaks to the longevity, the endurance of the Church. God has preserved His Church. This truth is even more evident in the Vatican. Regardless of the missteps of the Church over the centuries, it’s amazing to think of how the Lord God Almighty has preserved His Church. The Church today exists in many forms around the world, and although there have been sects and offshoots there are many that still faithfully preach the foundational message of the Gospel. Michelangelo’s masterpiece in the Sistine Chapel is not only beautiful, but it tells the story of the Bible from the Creation of the World and Man to Moses and the Law to Christ and his life, death and resurrection. On the front wall of the Sistine Chapel the largest painting depicts the final judgement something that we tend to shy away from today in our churches. It seems that many churches today are timid and afraid to talk about sin. They either under emphasize sin and it’s effect on the world, or they over emphasize it and forget God’s grace. The other issues the church is reluctant to address today are hell and the final judgment. All these themes are amazingly and strikingly captured in Michelangelo’s masterpiece. I believe part of the reason we shy from these themes in the church today is that they were not preached with love and balance in the past. We’ve also been influenced by our culture and we live in an age of tolerance. Anything that divides we tend to stay away from. I understand being sensitive and careful in how we communicate the gospel with our culture. Yet, if people fail to see the darkness of sin and the despair of hell, they will not appreciate fully what Christ did for us. Christ death and resurrection are minimized if we don’t realize how lost we are without his saving grace found in his death and resurrection. My desire is to grow in loving God, represented in the Trinity, Father, Son and Holy Spirit. I want to know Him more and love Him in a greater way. Jesus says in John 10 that His sheep know His voice. I definitely want to know His voice and be able discern the difference between His voice and all the other many voices calling for my attention. I pray that my love for Christ will exceed my desire for man’s approval. That is not easy. It’s hard to be called names, or for people to think you are foolish when you follow Christ. Yet, this often happens to those who love Jesus. It happened to Jesus himself. Pray with me and my family as we seek to put God’s kingdom first. I must admit that often I fail miserably. I don’t love as Christ loved, but as He works in me I see transformation and His Spirit doing a Holy and wonderful work in my family and in me. Praise be to God! Thanks for praying with us and for us! Cambodia – A different world to be sure! I read this statement recently in Oswald Chambers, My Utmost for His Highest. This is becoming my cry to the Lord. 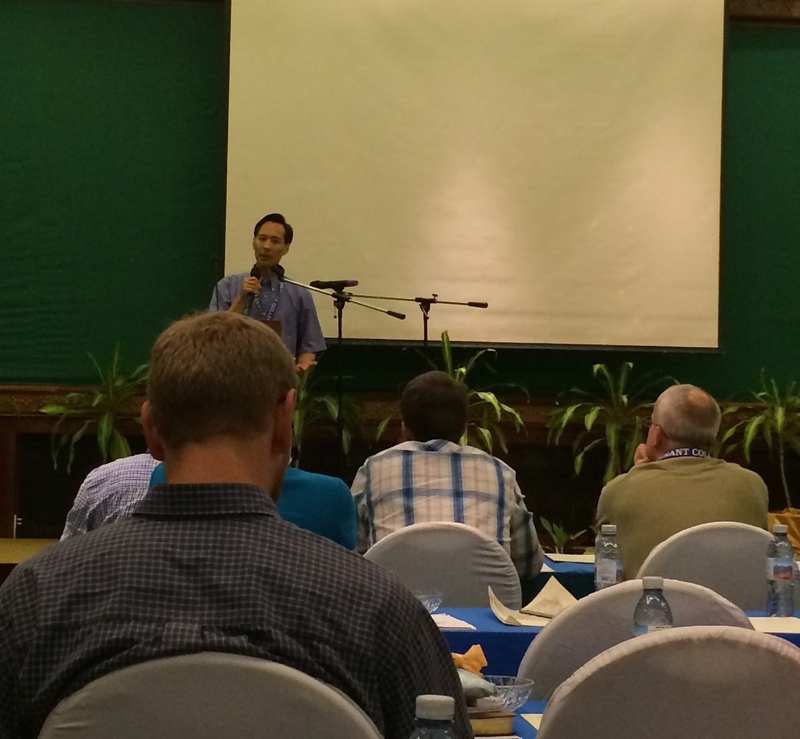 As I reflect on my desire to hunger for God and his presence it reminds me of Dr. Lloyd Kim’s words when we were together for Mission to the World’s (MTW) worldwide leadership meetings. He challenged us to be broken and humble before the Lord as we serve him. It’s easy when we are serving in ministry to just get to a point where we are going through the motions. While I was at MTW’s conference the Lord ministered to me as I met with missionaries and nationals from all over the world. God touched my heart as I listened to their stories. Some of them are ministering in very difficult places, under difficult circumstances. Others minister freely, but the soil is hard and the fruit is slow. Between these words from Dr. Kim and Oswald Chambers and my experience with the missionaries I feel God calling me into a deeper relationship with him. To be thrilled with his presence! I invite you to join me. Pray for me that I will be faithful in this journey. It’s so easy to become cynical and jaded. We all have bad experiences in the church and just in life in general, and then we take it out on God. It’s as if we will only seek him if things are going well. But that’s not the way of the cross. It’s not what the Lord has called us to. I thank you for joining me and my family on this journey. It’s sometimes painful, but it’s worth it. God’s Blessing: The Arrival of Our Son, Jon! I’ve been on the road the last week, which has made it harder to get on the internet to post anything. 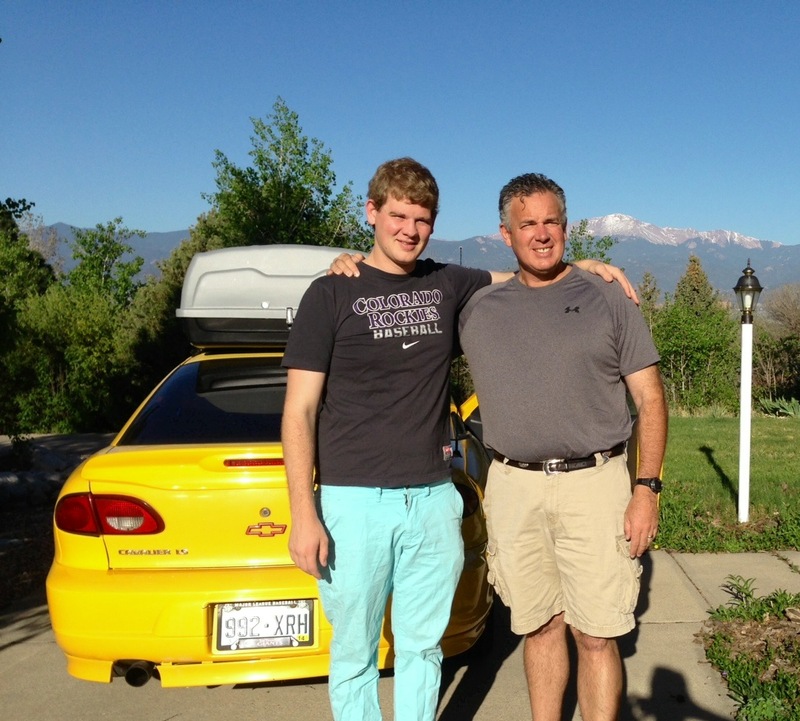 Last Thursday I flew out to Colorado to help our son, Jonathan move to Chula Vista. I can still remember the tears and the pain of saying good-bye to Jonathan and Hannah last August! God is so good to provide a way for Jonathan to be with us again. One of the difficulties of living out the life of a missionary is all the painful good-byes. You keep thinking that it might get easier, but it doesn’t, at least not for me. The Lord has put us in the wonderfully unique situation of living and serving in missions on the border. Because of where we live we can minister on both sides of the border. In two different countries with two radically varied cultures. This makes it possible for us to be closer to our grown children. It’s an opportunity many missionaries do not have. In Jeremiah the Lord encouraged the Israelites to seek the welfare of the city where they had been sent. As God blessed the city they too would be blessed. That is really our heart here. We pray that we will see San Diego – Tijuana blessed by God. We trust as the Lord showers down his blessings on the city that our family and friends will experience God’s rich and bountiful care as well. Seek the welfare of the city where I have sent you into exile, and pray to the Lord on its behalf, for in its welfare you will find welfare… For I know the plans I have for you, declares the LORD, plans for welfare and not for evil, to give you a future and a hope. Dawn and I love what we do, and we love where we live. It affords us the opportunity to minister to Latinos in San Diego and in Tijuana. God has given us some great partners to work with. We continue to pray that the Lord’s kingdom will be expanded on the border as it is in heaven. Over the last month we’ve experienced the joy of having our kids visiting us. 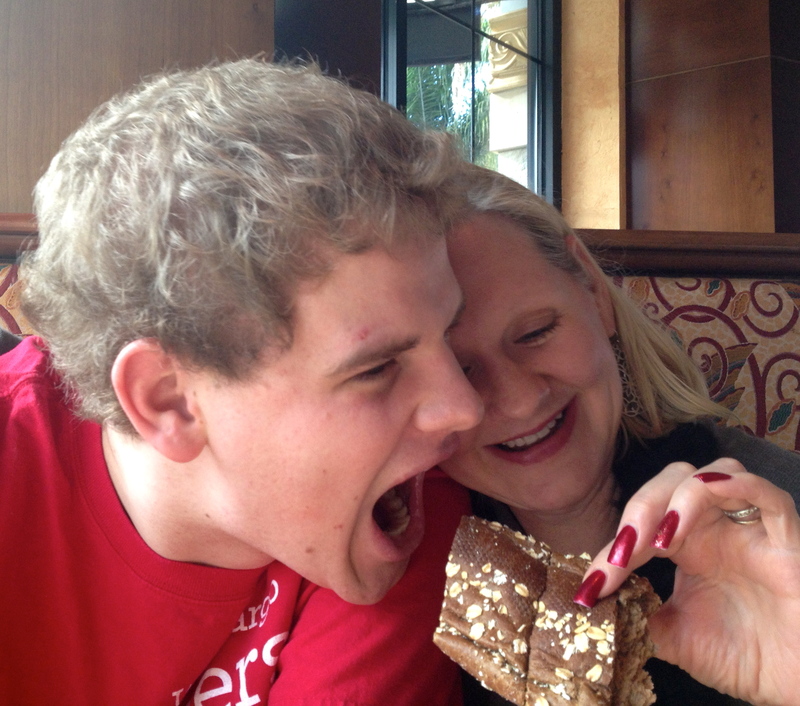 David Jr. has been home from college. Jonathan was with us for Christmas. Hannah is visiting now. Dawn and I have entered the stage of being empty nesters. There are some things we like about it, but we really miss our kids. Our prayer is that our kids will walk with the Lord all the days of their life. That they will truly be in love with Jesus. If that is true of them then they will make the right choices as they grow in God’s rich grace. 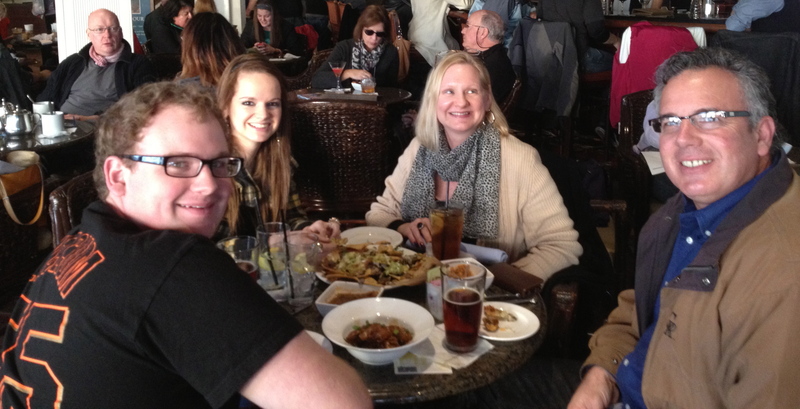 We love all three of our now grown children so much. We are hoping that they will live closer to us. In the meantime, we trust in God’s goodness. We give thanks that they can visit. We praise the Lord that they are doing well, and that we have a strong relationship with them. Part of the difficulty we face is that on the one hand we are to love our children, but we shouldn’t make an idol out of them. Only the Lord can fill the deep recesses of our heart. It’s so easy to look to things or people to do what only God can do. 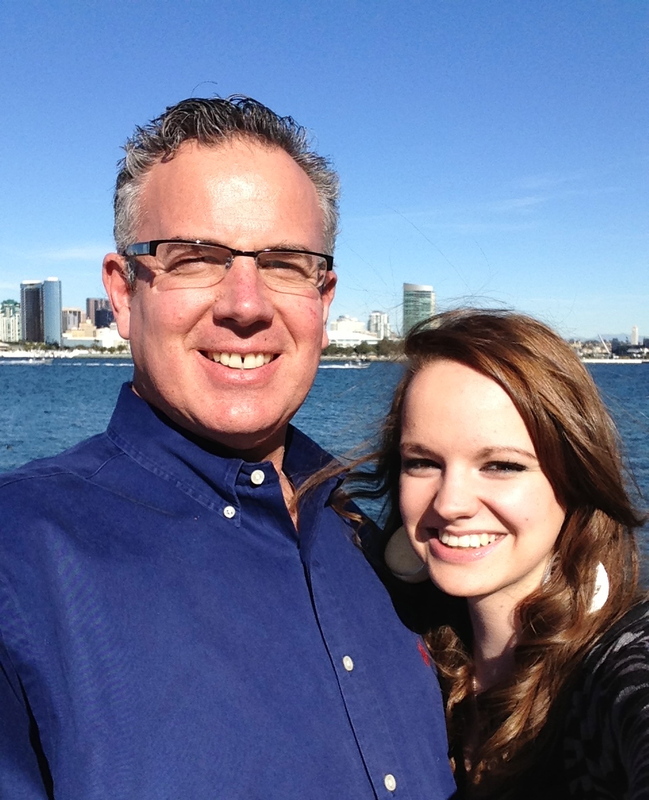 Dave & Hannah on Coronado Island with the San Diego Harbor in the background! I suppose there are others of you that can identify with what we are going through. If you have children you may have already gone through it, or you may be in the process of going through it, like us, or it may still be ahead of you. Let me know what encouraging bits of wisdom you’ve learned along the way. We need all the insight we can get! Even though I am ending 2012 in bed with a cold, it has been an outstanding year! We have experienced more change this year than we have since we left Mexico in late 1999. I praise the Lord along with my wife, Dawn, for all He has done in and through us in 2012. The biggest event in our lives this past year was selling our house in Colorado and moving to the San Diego-Tijuana border. Dawn and I had been working towards this goal for two years. It took us longer than we thought it would take to sell our house. We know God’s timing is perfect, but that doesn’t mean it is easy to wait. The wait has made it all the sweeter, though. We love being here, and we are so thrilled with all that God is doing. After living in Colorado for 12 years it was hard to say good-bye to all our friends. We will always cherish our time in Colorado Springs. God brought healing and provided some wonderful fellow sojourners. It does make it easier knowing that our loving Father is watching over our children, and caring for them. We are grateful that our oldest son, David Jr. lives close to us as he goes to school in El Cajon at San Diego Christian College. All three of our kids are doing well and they love the Lord. David is on the student council at his school, and he’s excelling in his courses. When I visited the school recently one of the professors from the school told me David was a high impact student! Thank you Lord! Jonathan began working at Wells Fargo Bank as a teller in June. He just went through their banker’s training, and he is exploring the possibility of getting a job transfer that would put him close to us. O, Lord, we pray you would open the door for that to happen soon. Hannah graduated from high school in May. 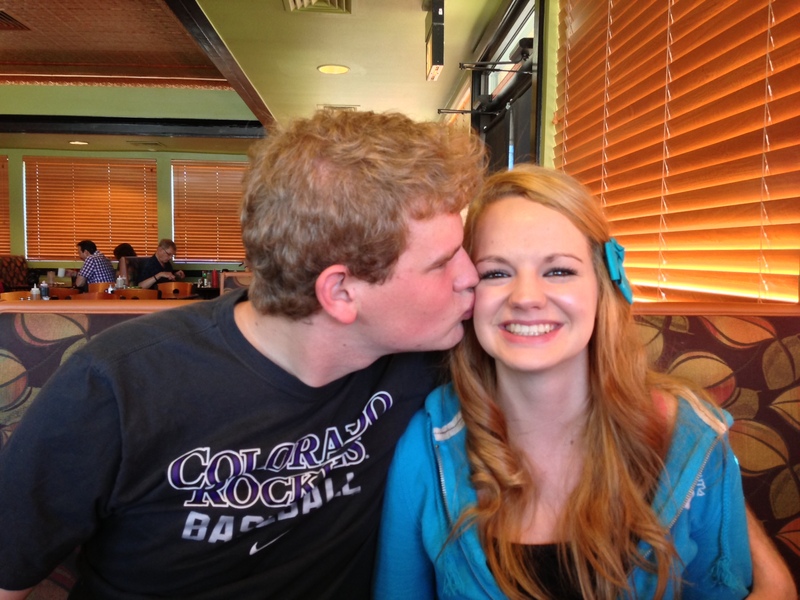 She is working at Big Lots and going through many adjustments being on her own in Colorado. Hannah will fly out to visit us this next week, so we are super excited about seeing her! We have much to be thankful for in 2012! Even in the short time Dawn and I have been here, we’ve seen the Lord do some wonderful things. 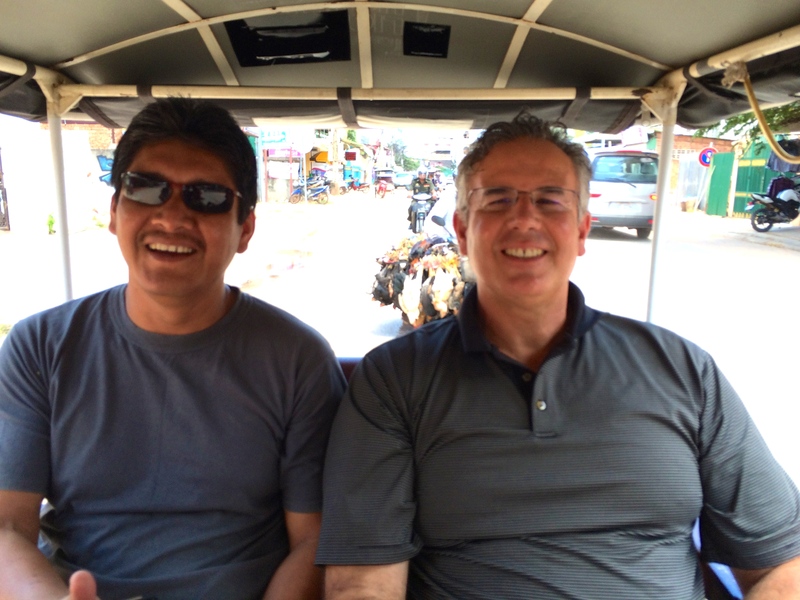 In late October and early November we partnered with Harbor Church and Lo Mejor Del Trigo to start a new church. God’s encouraged us as we launched the English as a Second Language (ESL) outreach last April. Oliva came to Christ through ESL, and is now growing in her faith. We are getting ready to launch a second ESL class next week. This is only a small sampling of the many marvelous things that God did in 2012. Praise him with us! Thanks so much for joining us on this journey!